Book a room at New Park Manor now. Discover a family hotel folded in the heart of the New Forest. Strike out and explore the enchanting woodland that lies all around, and wash away the day’s expedition with a family splash in the indoor or outdoor pools. In the evening, sink into the hot tub with a chilled glass of bubbly, while the children watch a film in the cinema room. Here, you can relax and reconnect, with nature, with your family and with yourself. Unwind in our contemporary spa while we take care of the kids in our crèche, or get involved in their games and let your inner child run wild. Whatever your perfect family holiday, we’re here to make it happen. Nestled within the New Forest, New Park offers incredible views and active days out. 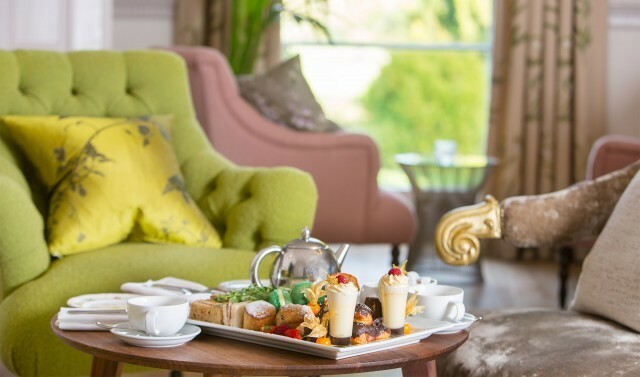 Relax in style with a traditional afternoon tea in beautiful surroundings. Take advantage of our on-site crèche and family facilities. Plan a unique country house wedding in the heart of the New Forest.